The Promise Neighborhoods program is a place-based approach focused on addressing generational family and community poverty by ensuring quality educational opportunities and providing a range of supports for children, youth, families, and communities. The program provides examples of interagency collaboration at the federal level, intra-agency collaboration within the Department of Education, and local level collaborations at grantee sites across the country. Recognition of complex and varied work is essential for managing multiple unique grantees. Development of a longitudinal data system and sharing data can pose a challenge. Communities need support to create sustained financial resources, community engagement, and partnerships. 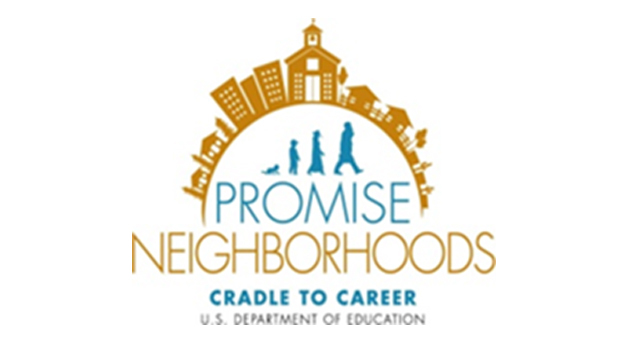 Learn about the collaboration's accomplishments and see additional resources for more information about the Promise Neighborhoods program.